two paragraphs discuss some problems you may encounter in stringlining. though some railroaders call it an offset. The measurements marked m in figure 3.4 are ordinates. 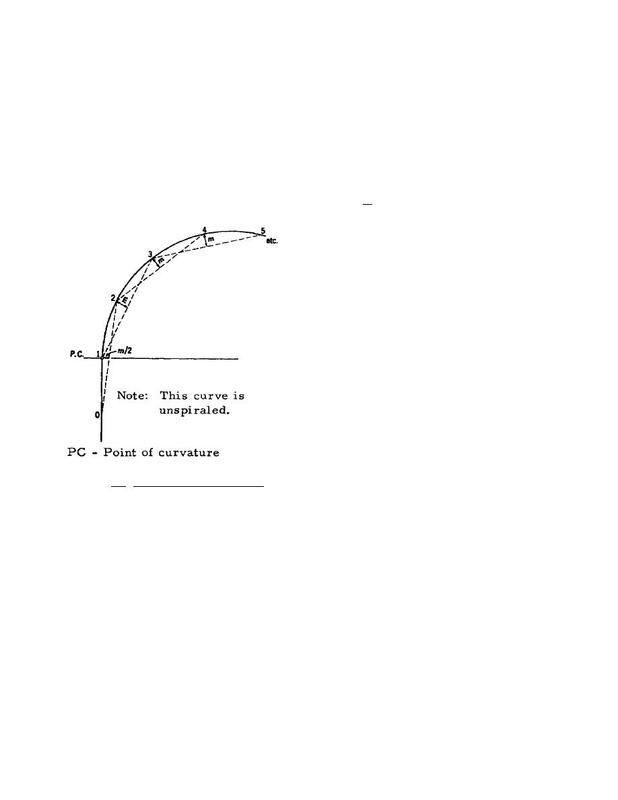 ordinate in inches equals the degree of curvature. Figure 3.4. Ordinates on a Simple Curve.